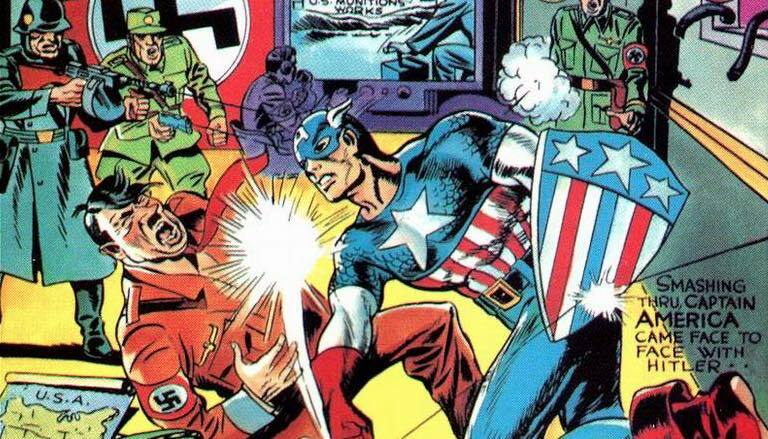 From that anthological punch that Jack Kirby gave Hitler through Captain America, to the German comedy about the more up to date Führer, “Er ist wieder da,” the Third Reich has been a recurring theme in our popular culture. What can we learn from the way in which our societies handle this theme through art? On a journey through Hollywood, Soviet cinema, comics, South Korean youth, Star Wars, Broadway or B-series cinema. We will try to answer those questions and understand why this political regime obsesses us so much. Graduated in Philosophy from the Complutense University of Madrid and currently works in Berlin as a tourist guide specialized in the Third Reich. He also participates as an educator in Holocaust memory issues, in projects such as Dikh He Na Bister (“Look and do not forget”) and is co-founder of Revista Desbandada.